Sami Khedira has been given the all-clear to return to training with Juventus following a heart problem, the club announced on Thursday. 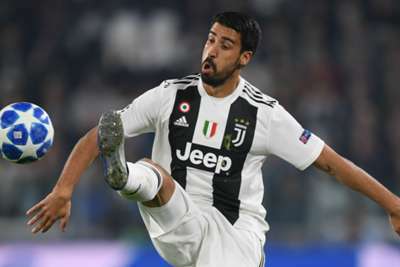 Last month, Khedira withdrew from the squad for Juve's Champions League last-16 first leg against Atletico Madrid following the detection of an irregular heartbeat. The Germany international was expected to be unavailable for around a month and Juve have now confirmed he has been cleared to resume full training. "Sami Khedira, who underwent an electrophysiological study and an ablation of his atrial arrhythmogenic system on February 20, has passed cardiology tests and can resume normal and intense sporting activity," a brief statement read. Juve are next in action at home to Empoli in Serie A on March 30, following the international break.